Call us on 0115 940 4949 and we’ll be happy to provide free advice for your steel supply or fabrication needs. Nottingham Steel Supplies have been providing Nottingham with a high-quality steel stockholding and steel fabrication service for over 20 years. We have become renowned for our attention to detail, helpful staff and, of course, high quality steel products. Why choose Nottingham Steel Supplies? At Nottingham Steel Supplies, we offer a full steel fabrication service from our warehouse in Nottingham which is located on Colwick Industrial Estate within close proximity to Nottingham city centre. 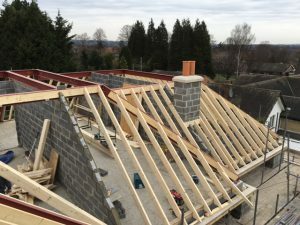 After working closely with the building trade for over 20 years, we have been able to help our customers in turning their concepts into reality. We’re able to offer a measurement service if you don’t know how much steel you require and we can also interpret structural engineer drawings – allowing you to just focus on getting the work done to a high standard. We offer a fast delivery service on any of our steel fabrication projects – meaning that you can get your work completed without suffering from delays. We’re based in Colwick, Nottingham and provide the whole of the East Midlands (including Derby and Leicester) with quality assured and certified steel products. Our dedication to the East Midlands Construction industry means that we are committed to offering fast turnaround times without sacrificing the quality of our work and this has led to us earning a strong reputation across Nottinghamshire, Derbyshire and Leicestershire.